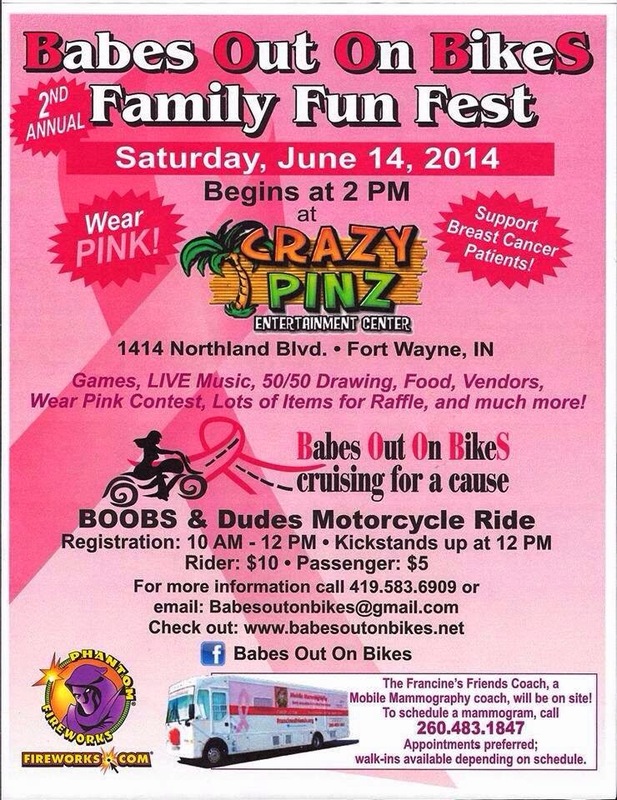 Mark your calendar and save the date for the 2nd Annual "Babes Out On Bikes Family Fun Fest" on Saturday, June 14, 2014. There will be games, live music, food, vendors, a "wear pink" contest, a drawing and auction and much, much more, beginning at 2:00 pm at Crazy Pinz Entertainment Center. 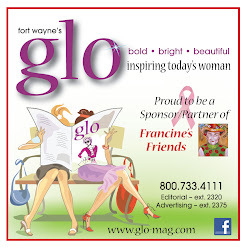 The Francine's Friends coach will be onsite to provide mammograms - schedule yours today! Also on tap, the "Babes" will be cruising for a cause, with a motorcycle ride. Registration is from 10:00 am-12:00 pm, with kickstands up at noon. Riders: $10; Passengers $5. For more information, call 419-583-6909 or email BabesOutOnBikes@gmail.com. To schedule a mammogram, call 260-483-1847 to make your appointment today. View the complete coach schedule by clicking here.